The other day the super-cool Pinguino was asking about the effect you get when an image does not download properly. 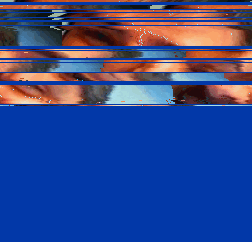 I had wondered about it before, so I opened some images, tore out a big chunk of the underlying data, and looked at them. 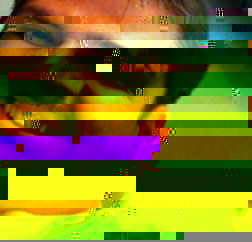 The first is what it looks like when a GIF is torn apart, and the second is what happens when it happens to a JPG. Joe Crawford blogged this at 2:13pm in 2010 in February. The 16th was a Tuesday. You are reading this 9 years later. Comment. There is one comment Tweet. Send email. It has hashtags→ art graphics .